Golf club in hand, I stood on a weathered course far in the Scottish Highlands and took a good look around. Sometimes in life, the journey can leave you spellbound. Light streamed through the ominous clouds, over a scene of wild heather and sage. Haystacks dotted the fields. Above us, an ancient monument to a long-ago battle loomed as we stood, inconsequential to the elements. 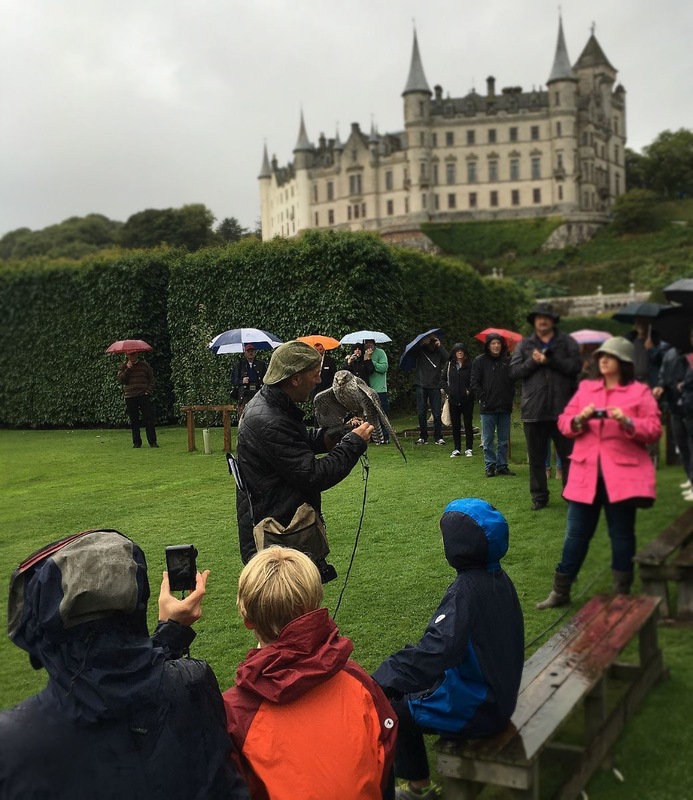 Earlier that day, my husband and I ran around Dunrobin Castle like children and watched a falconry demonstration in the pouring rain. 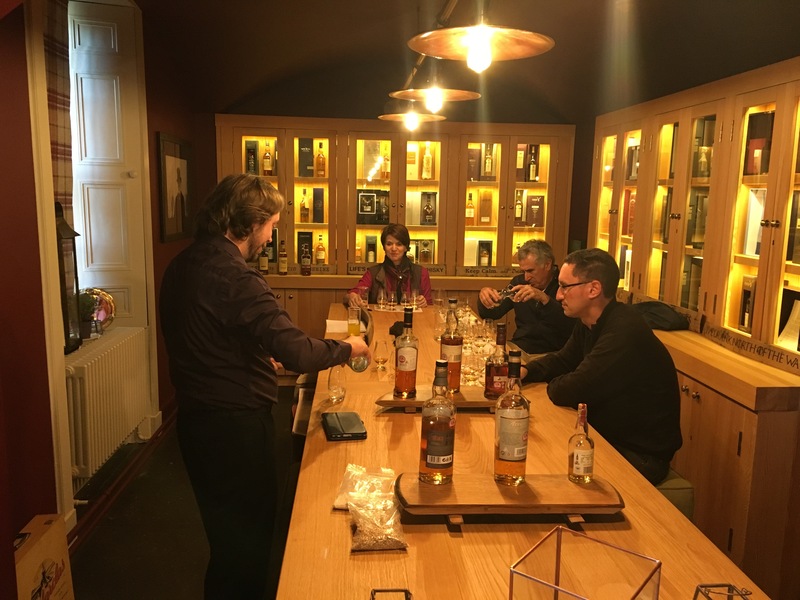 The evening prior, we enjoyed a whisky tasting at the Carnegie Whisky Cellars with our guide Michael, who shared a detailed and fascinating history of Scotland and its relationship with the husky libation. 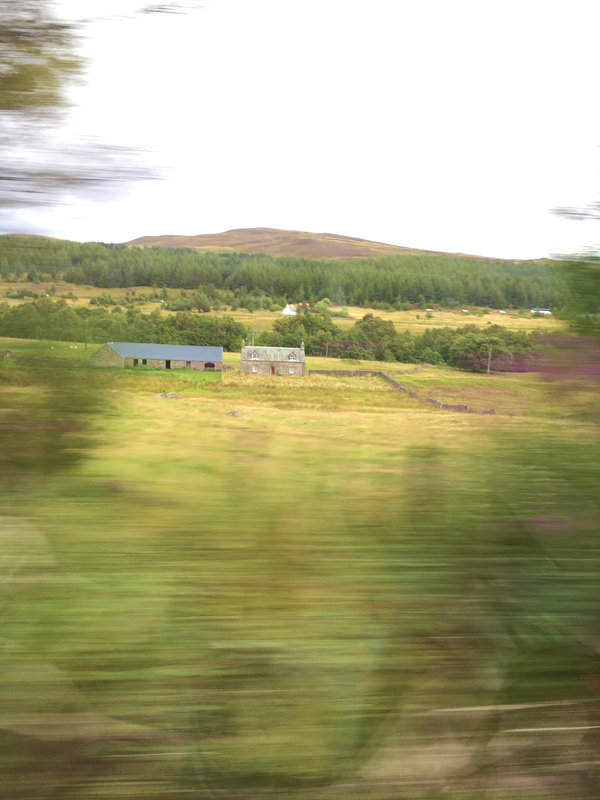 Traveling through Scotland, you find a story behind every crumbling stone fence and ruined castle. These lands of legend, lore and adventure raised Scotland’s big three writers: Robert Burns, Sir Walter Scott and Robert Louis Stevenson. Their words reflected the rugged landscape, which inspired such classics as Ivanhoe, Treasure Island, and even the annual anthem, Auld Lang Syne. After departing from the Highlands, we made our way to Edinburgh, where I toured the Writers’ Museum. For one of the first times in my literary ghost-hunting career, it felt a bit stifling to be inside a museum. While it holds an exceptional collection, I couldn’t help but want to find these writers more in their element. The essence of the Scottish writer lies in the beauty of the land, the pride of the people and the depth of history. As far as travel goes, for me it doesn’t get much better that that memorable week in the UK for my fortieth birthday wandering through castles, drinking whisky with good friends in the midst of enchanting beauty. We were at the end of the earth on that windswept Highland golf course. But somehow, I’ve never felt so close to home. A great post, Julie. Your words stirred something in me. I heard the Highlands calling me home. Thank you gina 🙂 It is home in a way for both of us. Lovely as always, Julie. I so enjoy reading about your ghost travel adventures. Hope all is well with you! Delicious writing, Julie. 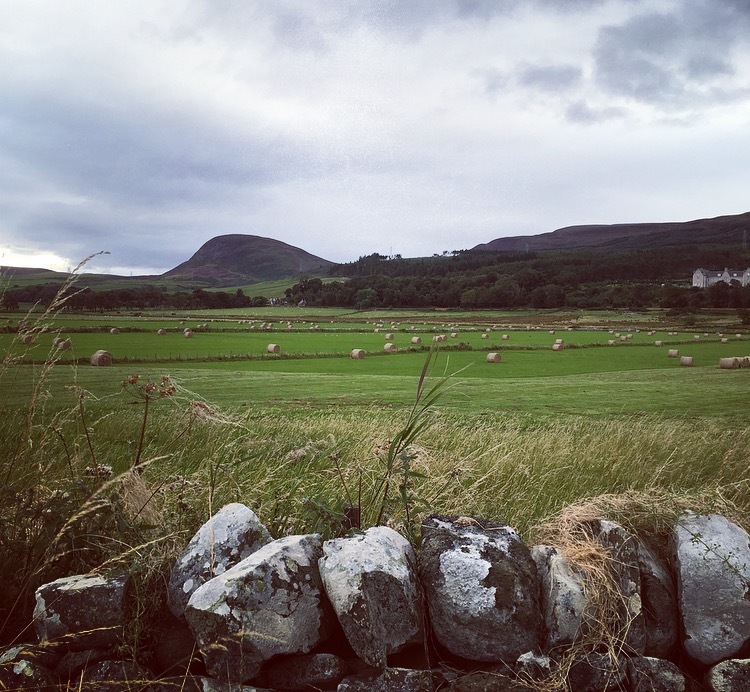 Do post more about your travels in wild and rugged Scotland!